Hi Mills! My name is Marisol Mia. Many of you have seen me on campus or know that I am majoring in Economics. However, most of you do not know that I am a nutrition enthusiast, and that I want to be a Wellness and Nutrition Consultant, or something along those lines, when I grow up. I spend a lot of my free time reading and studying about our food system and its effects on nutrition and health. 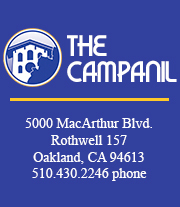 Before I go any further, I want to take a minute to thank The Campanil for offering me this wonderful opportunity to be a part of their website, and for giving me the pleasure to write to you about what I love. From this day forward I will be sharing with you everything I know about food, nutrition, and optimum health. I will be giving friendly advice (and hope to receive some as well!) on nutrition. I want to create a community where we can all grow and learn from. mathomas@mills.edu, or leave your thoughts as a comment below each post. A recent study from Colorado University showed that a third of all women and one quarter of all men in the United States are on a diet. Most diets today rely on cutting something out. It is usually fat, carbohydrates, or sugar. Unfortunately, most dieters put on more weight during the diet or regain the weight right after. Diets are temporary; they simply don’t work because they are short-term. I sincerely believe that if we want to see changes in our body composition or to be healthy we need to make long-term, lifestyle changes. We need to eat real food, not chemically processed cheap foods. ”Fat-free” foods and drinks do not help us lose weight, nor eating more protein and fewer carbohydrates. We become nutrient deficient when we deprive ourselves from certain foods. And that is the last thing we want to do. Snacking on a Multi-Grain cereal bar instead of a Butterfinger candy bar is definitely a healthier choice, but by no means better for us. If we take a look at the list of ingredients and not the calories, we will notice that the first ingredient on both bars is sugar or corn syrup (sweetener). It is important to know that the ingredients on food labels are ALWAYS listed in descending order of predominance. Nutritionists say that the first or three ingredients are the ones that matter the most. Personally, they are the first five. If there are more than five ingredients on a food label I tend not to buy the product (especially if the first one is sugar). When there are too many ingredients it means that the product has gone through a long chemical process. My advice today to you is to focus more on the ingredients than on the calories. It is as simple as this: nourish your body and your body will take care of the rest. Don’t eat too much of the wrong things and too little of the right. For example, Ketchup does not replace the nutrients that a tomato has. Most of us only look at the calories and not think about the nutritional value of the food we eat. We can eat as much or as little calories we want, but if we are not eating the nutrients our bodies need we are always going to be hungry. These foods (mostly fast foods) contain “empty calories.” Empty calorie foods give us the impression that we have fulfilled our bodily needs. However, we are starving at a nutritional level. They provide us with nothing (and it takes the same effort to eat nutrient dense foods). Therefore, we continue to eat. As a result, we are overfed and undernourished. What happens to all the extra food we eat? Well, our bodies store them in the form of fat. We can all probably guess what happens next. Empty calorie foods are calorie dense foods with little to no nutritional value. These foods are addicting or contain ingredients that make foods taste good. So, it is hard to stop eating them. Like sugar, MSG, high fructose corn syrup, aspartame, and salt! Hmmm. Foods with these ingredients are not here to help us, but to be sold. Food companies want us to get addicted to their products, and we do! Good health makes a lot of sense, but not a lot of money for the food and drug companies. However, if we eat the right ingredients, we will have a healthy body, which means a lot of money in our pockets. In the long run, if we think about it, it is much more cheaper to eat healthy or to pay more attention to the foods we eat now. Trust me, no one likes getting a “wake up call” from their doctor in their 50’s. It is better to prevent. Who likes to diet after every holiday anyway? If we eat healthy we are less likely to get sick, go see a doctor, spend a lot on medicine, and have chronic diseases (diabetes, obesity, heart disease, cardiovascular), all of which cost a lot of money to care or heal. Nevertheless, it is up to each one of us to make the lifestyle change. My friendly advice to you this week is to try to make a habit of reading food labels (ingredients!) and learning about where your food comes from and how it is produced or processed. You’ll be surprised what a big difference in your and your family’s life and health this habit can make. Have fun doing this! mathomas@mills.edu, or leave a response below.